In a rather interesting discovery, courtesy of listings on the BBFC website, it seems that Universal Pictures UK will be distributing My Hero Academia within the UK on Blu-ray. Although an official announcement has yet to be made by Universal Pictures UK listings on the BBFC website reveal that Universal Pictures UK will be distributing this FUNimation owned title within the UK rather than Anime Limited; the distributor who have become the norm for distributing FUNimation related content within the UK (albeit slightly belatedly). 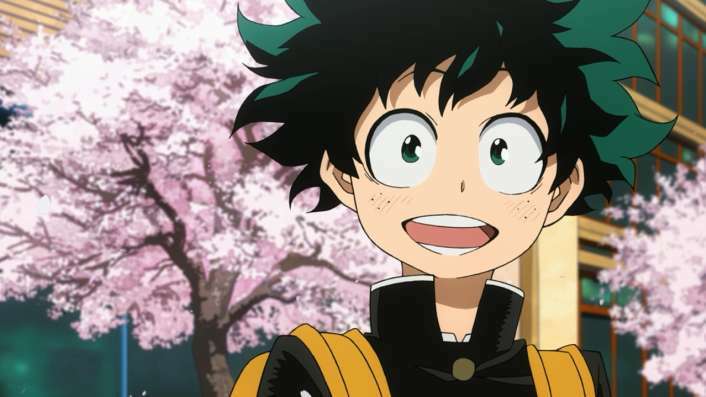 Listings on the BBFC Website also reveal that the Blu-ray release of My Hero Academia will feature two Bonus Discs with the first bonus disc featuring an Interview with Kenji Nagaski and Wakana Okamura, a My Hero Academia: Meet the Characters segment, an Interview with Ayana Nishino, Artist Sketches’ and thirteen ‘Inside the Episodes’ short films. The second bonus disc meanwhile will contain selection of material from Anime Expo 2016; mainly the entire My Hero Academia Panel, an Interview with voice actors Christopher Sabat and Justin Briner as well as an Interview with the Masahiko Minami. Of course it’s not the first time that Universal Pictures UK have distributed FUNimation related products; as Universal Pictures UK did previously release the complete first season of Seraph of the End and The Heroic Legend of Arslan within the UK but unlike My Hero Academia these titles had involvement with Universal Japan. In any event it will be interesting to see what plans both FUNimation and Universal Pictures UK will have and more importantly how this series will be released within the UK.